IMAGE: Chelsea’s new manager Antonio Conte. Photograph: Andrew Couldridge/Reuters. Long-serving defender John Terry will remain Chelsea's captain in the coming season, new manager Antonio Conte said on Thursday at his first news conference since joining the Premier League club. Terry, 35, signed a new one-year contract at Stamford Bridge in May to end speculation that he was going to leave the London club after more than 700 appearances. He remains a firm favourite with the club's fans. "John Terry is captain of this team. He is a great player with a great personality and charisma. He knows the club. We take all decisions together with the club and I am very happy John signed," Conte said. Conte, who guided Juventus to three successive Serie A titles from 2012 to 2014 before becoming the Italian national team coach, has replaced interim manager Guus Hiddink. Known for his motivational powers and fiery touchline presence, the Italian said the team would need to emulate his work ethic to get back to winning ways after missing out on qualification for European football. "Every manager has his own idea of football and I want to transfer my ideas to the players. I have great passion for football, for my team and my work," he added. "It's important to have players who are ready to fight, play good football and transfer our passion and emotion to the fans. I am a worker. I suffer during the game. I want my players and the fans to see this." IMAGE: Chelsea captain John Terry. Photograph: Reuters. Chelsea, the 2014-15 Premier League champions, finished only 10th in the table last season and parted company with manager Jose Mourinho midway through the campaign. "Last season was a bad season," Conte said. "We must fight for the title, we belong in the Champions League and we must stay there." "This league is very difficult. There are six or seven teams that can win the title. This situation excites me." 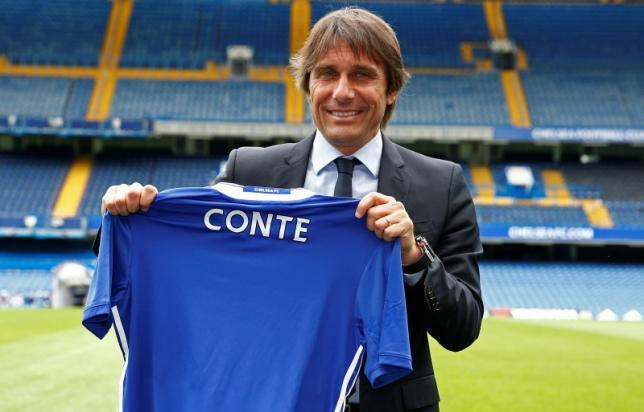 Conte is the fifth Italian to manage Chelsea, following in the footsteps of Gianluca Vialli, Claudio Ranieri, Carlo Ancelotti and Roberto Di Matteo. He begins his tenure in England with a London derby at home to West Ham United on Aug. 15.